Size: To 0.5 in. wide; .75 inch long. Notes: Resembles White Prairie Clover, but has 10 stamens as opposed to the 5 of that flower and many more leaflets on each branch (20-40). 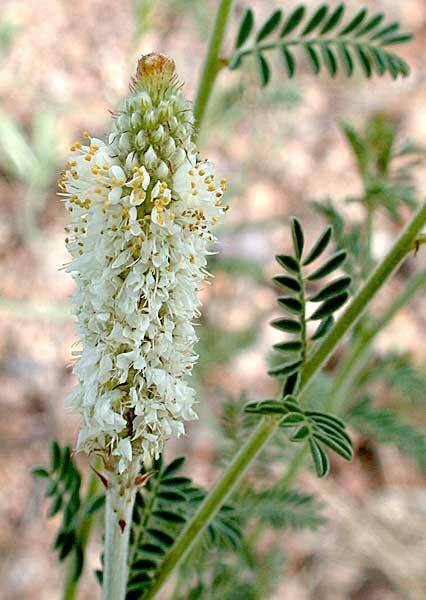 36 species of Dalea in Arizona.